The key to a happy pet is a healthy one. In the case of guinea pigs, vitamin C dietary supplementation can make a world of difference. The fluffy rodents' bodies simply don't generate the beneficial vitamin by themselves. Thankfully, fresh oranges can help do the important work for them. For guinea pigs, citrus fruits such as oranges can provide much-needed vitamin C content, according to the Small Animal Channel. If you feed your guinea pig fresh oranges on a regular basis, he probably won't experience vitamin C deficiencies and the frustrating health problems that are sometimes associated with them, whether arthritis or immobility. Fresh vegetables and fruits are important nutritional supplements in the guinea pig diet, whether cucumbers, romaine lettuce, pears, apples or any other cavy-friendly items. Although oranges are indeed packed full with vitamin C, they also are very sugary, like other fruits. To keep your wee pet's sugar intake under control, always keep the amounts of oranges you feed him well in moderation -- think a little wedge that is approximately one cubic inch in size. Also remember that oranges consist of ample citric acid -- another reason to practice moderation in feeding them. Before you feed your guinea pig any fruit, or vegetable for that matter, it is absolutely vital to first rinse them thoroughly. 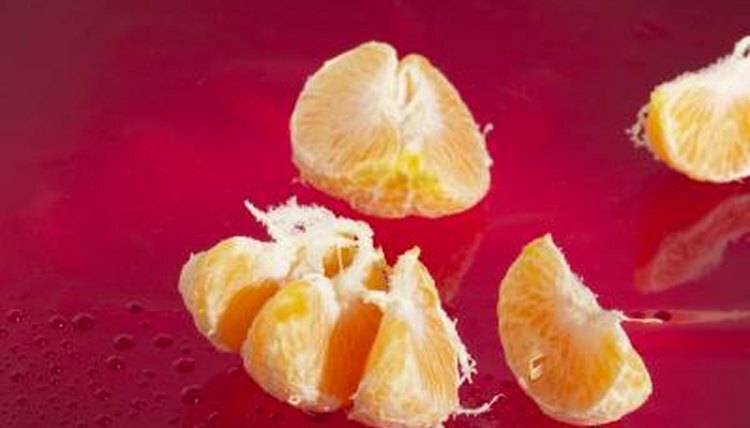 Diligently extract any seeds that may be present within the orange, and then slice the fruit up into manageable bits. Also extract the rind. If you give your guinea pig too much orange, you run the risk of him not finishing it, and therefore leaving spoiling food in his vicinity. It's important to make sure your pet never has access to any foods that are less than fresh, full stop. If you think that your guinea pig needs oranges for his vitamin C needs, offer them to him slowly but surely. Always begin with extremely tiny portion sizes. Never be sudden or abrupt with any changes in foods, as that could lead to unpleasant diarrhea and tummy ache issues in your poor pet. Prior to feeding your pet oranges or anything new at all, notify your veterinarian just to be especially cautious. Can Dwarf Hamsters Eat Hard Boiled Eggs?